“If I had an arm missing, people would understand. But I don’t – I have Body Dysmorphic Disorder.” BDD is an obsessive-compulsive related disorder where the affected person is dominated by a false belief that his or her appearance is unusually defective. The distress it causes can play havoc with the sufferer’s social, domestic and working life and lead to years of social isolation, as Simon Antony knows all too well. 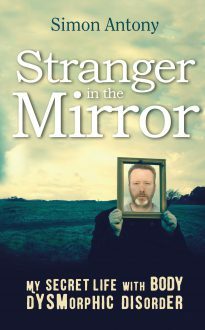 This book is the story of how he faced, battled with and finally learned to live with this little recognised but psychologically crippling condition.